Highland Acute Hospitals NHS Trust today unveiled plans for the first satellite renal unit in the Highlands to be established at Caithness General Hospital in Wick, Caithness. The new renal service is expected to be ready for start in January 2003. Three representatives from the trust were in Wick at the Norseman hotel for the announcement. Richard Carey chief Executive of the trust, Dr Carol Brunton a Consultant in Renal Services at Raigmore and Margaret Brown Business Manager were in Wick for the announcement to a public meeting that was well attended. This was a significant development for renal patients and their cares and families. The establishment of a local satellite unit in Wick will greatly enhance the quality of life fro renal patients living in the north who at present have to travel three times per week to Inverness for treatment. This represents up to 700 miles travelling per week for patients in the far north and takes considerable time and organisation for families. Sheena Craig director and general manager of Caithness General welcomed the new development and said that planning for the new staffing arrangements was well in hand. Training for nurses at Raigmore and cover while they are doing so is being set up and funding is already in place. Dr Carol Brunton, Consultant Renal Services making the announcement on Thursday. Richard Carey also said he was "absolutely delighted" to be in a position to announce that the business plan for the new unit had been accepted and it was the aim to have services for renal patients local wherever this was clinically appropriate. Dr. Carol Brunton, consultant renal physician at Raigmore since February 2001 outlined how demands for renal services were continuing to increase . This process had been going on since the mid sixties as it had been possible to offer treatment to a growing range of age groups and conditions. The biggest growth had been in hospital based services and the ages of patients had grown to encompass every age with many patients now in their 60's and older whereas in the past they had been much younger. As it had become possible to treat a wider range of people the numbers had brought more pressure on existing services. Consideration had been given to a number of ways of addressing the problem including increasing the services at Raigmore in Inverness and satellite units at Belford Hospital in Fort William and in Caithness General at Wick. Space restrictions mean it is not possible yet to have a satellite unit at Belford Hospital although the intention is still that one will be created once the space problems have been resolved. A twilight shift from 4.00pm to midnight had also been looked at for Raigmore but this was dismissed. The unit at Caithness General will initially have four bays but it is anticipated that this will be increased to eight in the future. Initially the unit will operate on Monday, Wednesday and Friday to allow for treatment three times per week. Dr Brown said that amongst the benefits were much less travelling for patients and families and the possibility to eat more regular meals that can have a bearing on the health of patients. Community Support would be increased for peritoneal patients and increased funding for renal fluids. Water Treatment would be covered buy the installation of anew water treatment system to purify water for reanl patients - the water authority is to begin a programme of chlorimination of the water supply. The new treatment of the supply for renal patients is to ensure that chlorimination of the supply does not cause anaemia in haemodialysis patients. 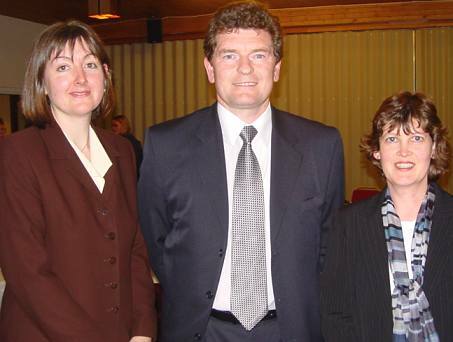 The process at both Caithness General and Raigmore began at the beginning of March 2002. Tenders for the Satellite Unit to be in by June 2002 with appointed contractors to begin on site in August 2002. The new unit should be completed during December and fully commissioned for use in January 2003. Mr Carey said that if everything was completed he saw no reason why it might not happen slightly earlier subject to staff training having been completed. Staff for the Satellite Unit will be undergoing a 6 month training programme at Raigmore during this time. At Raigmore the additional stations and staff should be in place by June 2002 to allow staff training for Caithness to be accommodated. The audience asked several questions regarding the new service on timing and whether people would be able to switch the type of treatment they had. Confirmation of the timing of the new unit being in place was confirmed and Dr Brunton said that treatment depended on several factors including the fact that new patients coming into the unit might need certain treatments and that clinical factors would be taken into account. It might be the case that a patient on a stable regime might not be able to change the method of treatment due to pressures on the service from new patients but each case would be considered. People were generally very pleased with the announcement that has long been awaited by kidney support groups.